Driving up the access road on the west approach (FR469) is every bit as difficult as the hike. I made it to the Wilderness Area Sign in my 2 wheel drive Dodge 2500, but it was brutal. The road is littered with rocks from small 2 inch to basketball sized and the rocks are sharp. One cut through my tire and subsequently resulted in a flat. From The Wilderness Area sign a nice trail heads south and then east to the The Table. 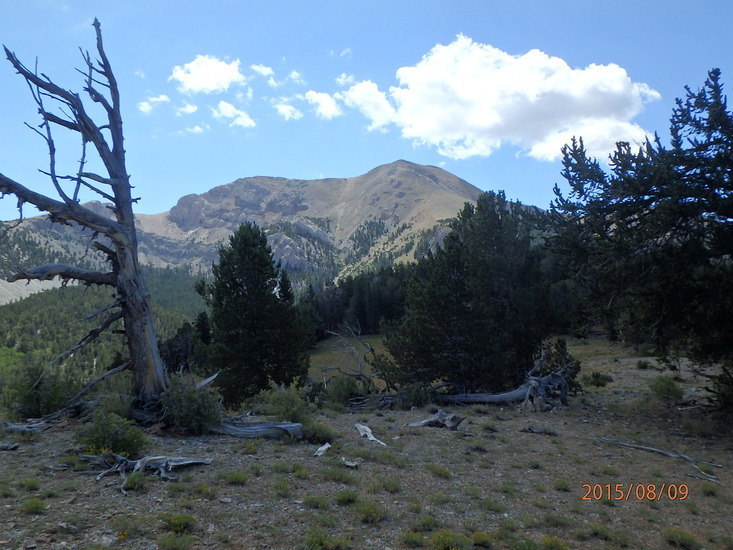 If one doesn't want to follow that an easy bushwhack due south will put one on the ridge. The ridge is not too bad until the last mile and then it gets very steep. 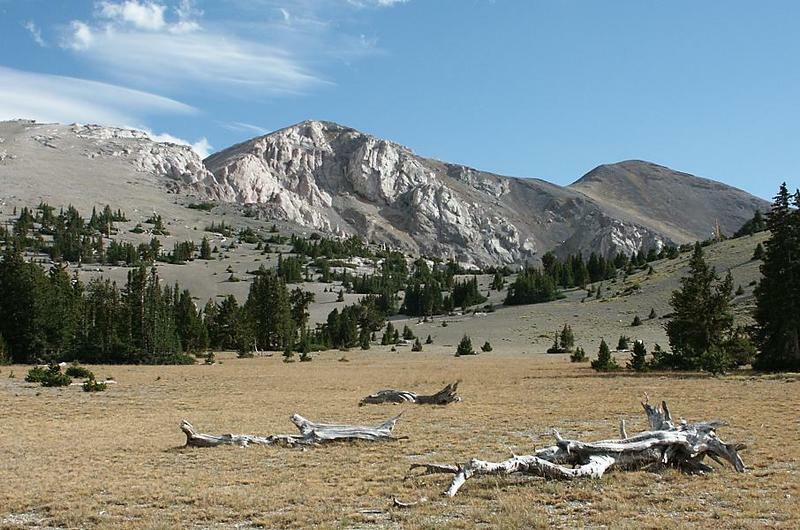 Fortunately the scree can be circumvented on areas with fairly stable grass or more solid rocks. The last few hundred feet are on larger rocks. 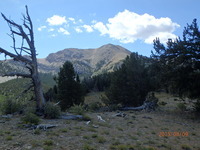 The summit is typical for Nevada peaks. Just before crossing a cattle guard turn right onto FR469 and go ~10 miles. Stay on the main road as there are a few options to turn off FR469. I personally don't plan to return to this approach, but I will try from the east using Hendry's Creek in order to summit via crossing The Table. Use this relief map to navigate to mountain peaks in the area of Mount Moriah (Nevada).